Aberdeen Country Club is a 27-hole Tom Jackson designed Myrtle Beach golf course that is located in Little River, South Carolina. The golf course offers an old Scottish feel and is modeled after the Royal Aberdeen Golf Club, which is Scotland’s sixth oldest golf course. Aberdeen opened in 1989 and is located just a few minutes from North Myrtle Beach. The three beautiful nine-hole designs offer a combination of challenges and are protected by the Waccamaw riverfront preserve, which is home to an abundance of wildlife and natural scenery. The three nines all offer unique challenges and demands. The Woodlands nine measures 3,345 yards while the Meadows plays from 3,306 yards and the Highlands stretches to 3,420 yards. Aberdeen Country Club is a member of Founders Club International which is also home to Colonial Charters, Burning Ridge Golf Club, Grande Dunes, Founders Club, Litchfield Country Club, Long Bay, Indian Wells Golf Club, Pawleys Plantation, Myrtle Beach National (King’s North, South Creek and West Course), Pine Lakes Country Club, Myrtlewood (Pinehills & Palmetto), River Club, TPC Myrtle Beach, River Hills, Wild Wing, Willbrook Plantation, World Tour Golf Links and the Tradition Club. Aberdeen Country Club is a full-service facility that offers a fully stocked pro shop with golf apparel, golf balls, and clubhouse. 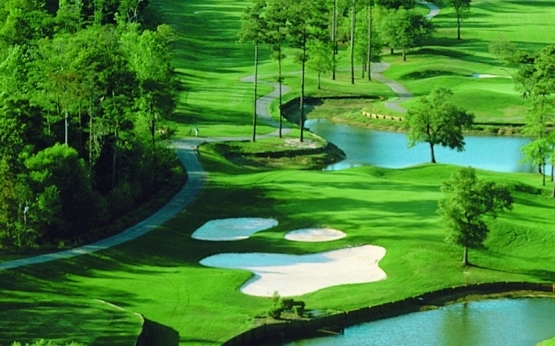 You will be happy you added this golf course to your Myrtle Beach golf package. Really enjoyed the Woodlands 9. Might have been because of my first ever birdie. .....lol. Great course and great staff.